John priest, educator and founder of the Salesian Order spent most of his life rehabilitating boys from lives of poverty and crime to become productive and virtuous men. Summary of St John Bosco, Priest, Educator. Born in Piedmont (Italy) in 1815; died at Turin on this day in 1888. Grew up in extreme poverty and, after ordination, devoted his whole life to educating young people, especially the poor. Founded the Salesians, men and women who continue this work with youth throughout the world. Noted, like the order’s patron, Saint Francis de Sales, for his cheerfulness and trust in the providence of God. 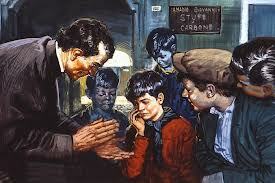 St John Bosco is the patron of youth. He spent most of his life as a priest rehabilitating boys from lives of poverty and crime, helping them grow into productive and virtuous men. The religious order he founded, the Salesians, are one of the largest and most influential religious orders in the Catholic Church today. Patrick Duffy traces his story. Born at Becchi, Castelnuovo d’Asti, in Piedmont, Italy, John’s peasant father died when he was only two. His devout and commonsense mother Margaret reared him in poverty and provided him with a good education. She later lived and worked with her son when he was a priest. On 16th November 2006 the Congregation for Saints’ Causes recognised her heroic virtues and her reputation for holiness. 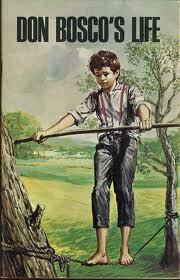 As a boy, John worked to help keep himself, his brother Joseph and his mother. He would go to circuses and carnivals to learn tricks he saw magicians perform and in this way learned to present the show himself. While attending college and the seminary, he also worked as a tailor, baker, shoemaker and carpenter. He was quite a performer. Ordained priest in 1841, he soon had hundreds of boys and youths attending his chapel and evening classes. He set up a boarding house for apprentices and then had workshops for teaching, tailoring and shoe making. Subsequently he set up a printing works, a book-bindery, a joinery and an iron-foundry to provide educational and employment opportunities. He would organise an all-day Sunday outing for his boys with a full agenda of Mass, work and games. When his mother came to help he was eventually housing over 800 boys. 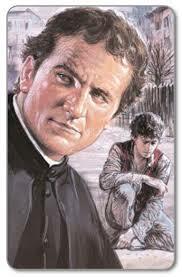 Don Bosco, as he became known, said he did not remember having formally to punish any boy. He sought always to make things attractive, and because of this his methods were preventive as distinct from repressive. During a cholera epidemic in Turin in 1854 in which thousands died, he formed his boys into teams to carry the sick to hospital and the dead to mortuaries. He urged his boys to trust in God and wash their hands in vinegar. Not one of them died and he got the reputation of being a miracle-worker. This led to the foundation in 1854 of a community of religious, whom he called Salesians in admiration of the spirit of St Francis de Sales. He also founded a congregation for girls with a peasant woman from near Genoa, who became St Mary Mazzarello (1837-81). The Salesians spread all over Europe and America and the congregation now numbers over 16,000 in 139 countries. When he died in 1888, the entire population of Turin lined the streets for his funeral. He was canonised by Pope Pius XI in 1934. He has become recognised, like Mother Teresa of Calcutta, as one of the great “social saints”.